Below is a list of pH systems we have created. Each system is geared towards a different type of research of sample type. To receive further information on any of our pH systems, fill in the form on the bottom of this page. System includes Ultra-M micro pH electrode for measurement of your smallest samples. System includes Ultra-M micro pH electrode with extra long cable for NMR tubes for measurement of samples inside your longest NMR tubes. System includes micro flow through pH electrode for flow through measurement of pH in small samples. 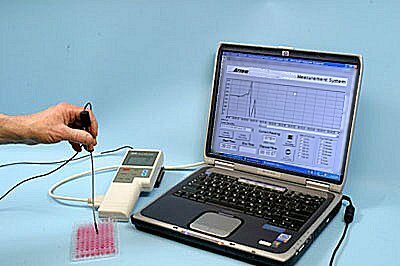 System includes ProteinGuard(TM) pH electrode for measurements of pH inside samples which contain proteins. System includes ProteinGuard pH electrode for flat surfaces for measurement of pH on surfaces which contain proteins. System includes 2 rugged polymer body pH electrode for pH measurements in various sample types. These electrodes are sturdy and versitile for lab, field & educational purposes. Create the all-in-one pH measurement, logging and graphing system that is specific to your lab's needs. System includes 1 rugged polymer body pH electrode plus 1 pH electrode of your choice from list below. 1215RAL - Spear tip pH Spear into foods, cheese etc. 1007RAL - Test tube pH Extra long for test tubes, narrow flasks etc.